Social Media Security: How Safe is Your Information? #infographic ~ Visualistan '+g+"
In 2012 a massive cyber attack by a hacker named “Peace” exploited over 117 million LinkedIn users’ passwords. After the dust settled from the initial attack, new protocols were put in place and the breach was all but forgotten in the public eye, the same hacker reared their head again. Nearly five years later, “Peace” began releasing the stolen password information of the same LinkedIn users from the earlier hack. 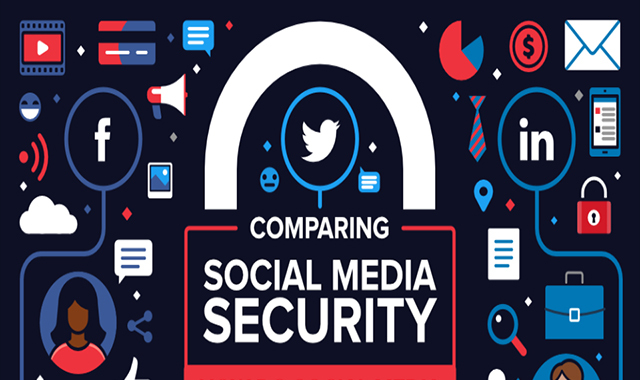 With millions of users’ data (or billions, in the case of Facebook) floating around the web, the need for tight security from social media platforms is obvious. Facebook alone has reported receiving more than 600,000 security hack attempts each day. (Although that is nothing compared to the NSA’s 300 million attempted hacks each day.